Our range of products include auto case erector. Infeed Conveyor Is with Customer Scope Or Supplied by Us at Additonal Cost. Safety Light Curtains (Beam Sensors ) Is Not A Part of the Scope Which Is Optional. 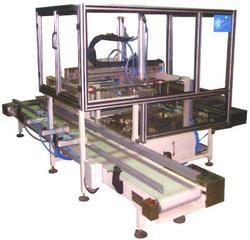 Looking for Auto Case Erector & Packer ?